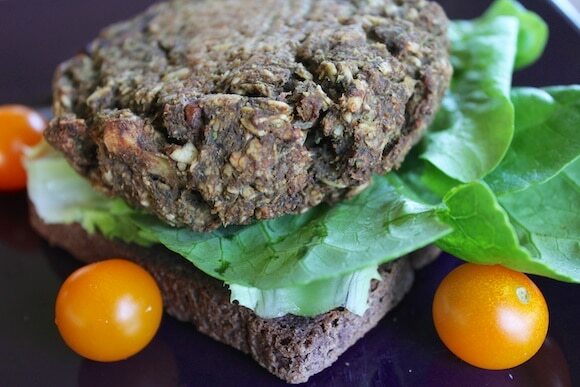 This Indian Spice Burger recipe uses sprouted lentils for optimal flavor and nutrition. 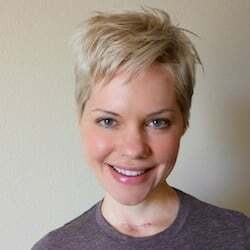 You may recall that I recently featured a sponsored post and giveaway with one of my favorite retailers, Vitacost.com. That recipe was for High-Protein Vanilla Crunch Muffins and I’m so glad you liked it. 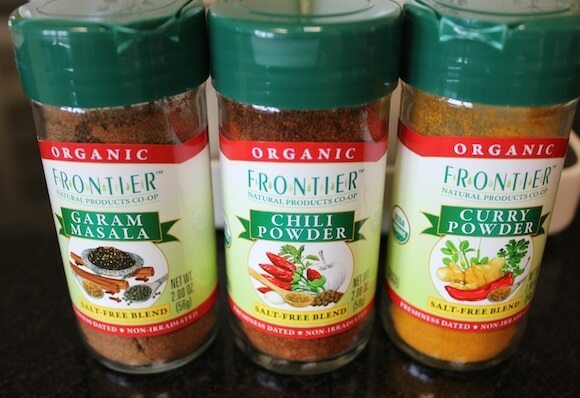 I have a second recipe to share with you, as well as another $100 gift card giveaway, woo-hoo! 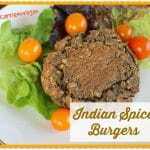 I suppose you could call these Indian Spice Burgers an updated version of my Lentil-Mushroom Burgers, but with an international twist. I’ve also added rolled oats which helps incredibly with texture, although the lentils remain the star ingredient. Place coconut milk in a medium saucepan and bring to a simmer over medium heat. Add lentils and cook on low heat for 8-10 minutes, stirring occasionally. Set aside to cool. 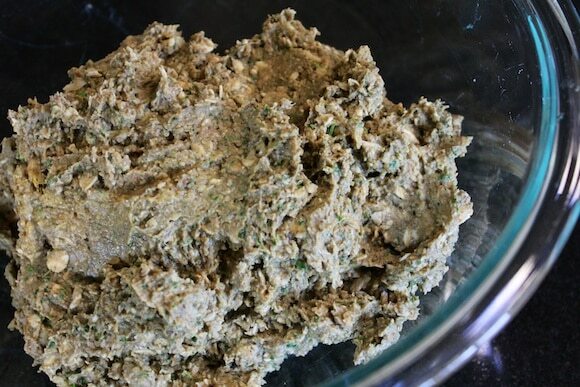 Combine oats, mushrooms, walnuts, parsley, shallots, flax meal, and spices into a food processor. Pulse to combine. Use a spatula to scrape down the sides. Add the cooked lentil mixture and the coconut aminos to the bowl of the processor. 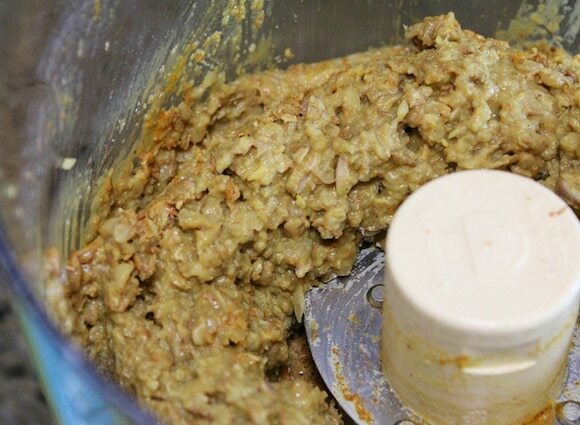 Turn on the food processor and let it run until the mixture comes together, about 20-30 seconds. 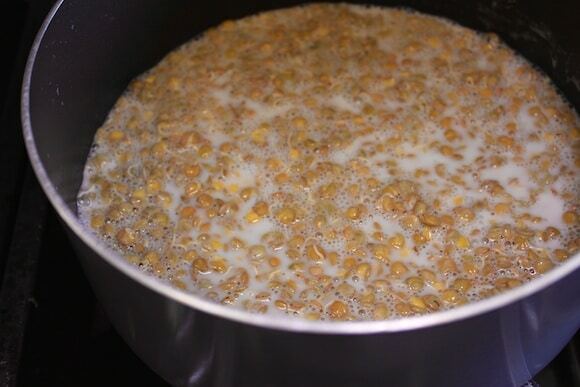 Ideally, pour the mixture into a large bowl and refrigerate for at least an hour to firm up. Preheat your oven to 350°F. Line a baking sheet with foil or parchment paper for easy clean up and spray lightly with non-stick cooking spray. 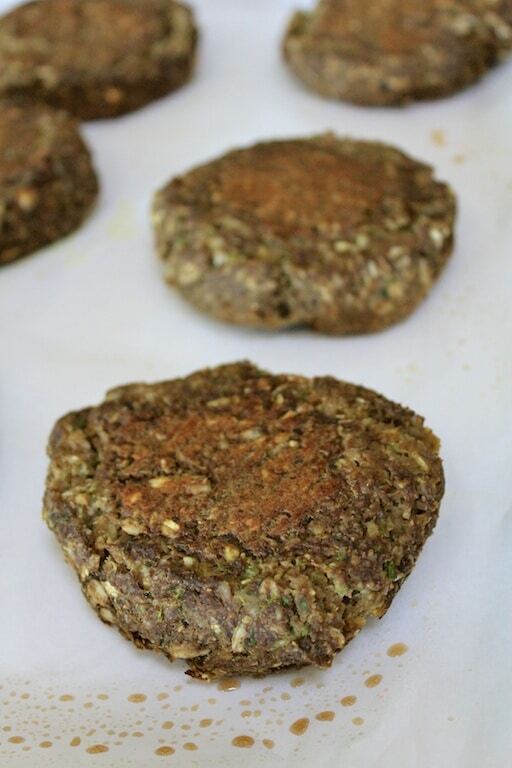 Use your hands to form the mixture into about 6 burger patties. Bake for 20 minutes and flip and bake for another 20 minutes, or until tops are golden brown. Serve hot, on a roll or a bed of lettuce, if desired. To enter the giveaway for the $100 Vitacost gift card, please use the Rafflecopter link below. You must reside in the U.S. and be over 18 years of age (residents of Rhode Island are excluded) to be eligible. I will pick a winner at random on Friday, May 2nd. Good luck! Also, while I did not receive compensation for this post, I was sent the ingredients to make the recipe. I do participate in Vitacost’s Refer-a-Friend program where if you sign-in using this link we’ll both get $10 off our next order). I’m going to give the boring (but true) answer that my favorite way to eat leafy greens is in a salad. I don’t know if I have a favorite way to eat leafy greens since I love them in so many ways, but I’d say the way I probably eat them most often is just steamed as a bed for other delicious things. My go-to is steamed kale. Looks yummy! I know it’s simple but my favorite way to eat greens is in a salad! I love salads and try to eat at least one a day. My favorite is to throw in kale or baby spinach to just about every soup I make. They adds one heartiness and wilt just enough to lessen the bitterness. Who can say no to a big bowl of african peanut stew with a bunch of spinach thrown in? Or Kale. Or swiss chard. Yum! What was the question again? Ha ha! That sounds so good!!! Oh, yum, Carrie, this sounds delicious!! I love leafy greens straight up in a salad. I do love me a salad. Usually just in a salad with beans and a yummy dressing! I love to put leafy greens in soups for my family members who aren’t as fond of them as I am (especially kale and escarole). My favorite way to eat leafy greens is to eat them in smoothies and dips! We have lots and lots of green smoothies at our house! Definitely a salad with lots of goodies piled on top of it, like raw veggies, roasted potatoes, beans, pickled beets, a few nuts, and a good dressing. So satisfying, and I make it in a big mixing bowl so it takes forever to finish. I like leafy greens as a salad or in soup. I love greens in salads, but also underneath most hot dishes (pasta, chili, etc). Im lazy and I cheat … I put my greens in my morning protein shake! Salads, soup, and in kitchari. I love a nice leafy salad. I also love to roast greens with broccoli. Yum! Thank you for the wonderful giveaway. Honestly, I absolutely love salads. I eat one almost every day and load it with leafy greens, roasted and raw veggies, healthy fats, and lean protein. Vitacost is an awesome company, thanks for the giveaway! My favorite way to eat leafy greens are as kale chips! I eat leafy greens in a simple salad. I like to put leafy greens in soups. I like them in a salad! Mmm these burgers sound delicious! Can’t go wrong with mushrooms! these sound so good – esp with the coconut milk. 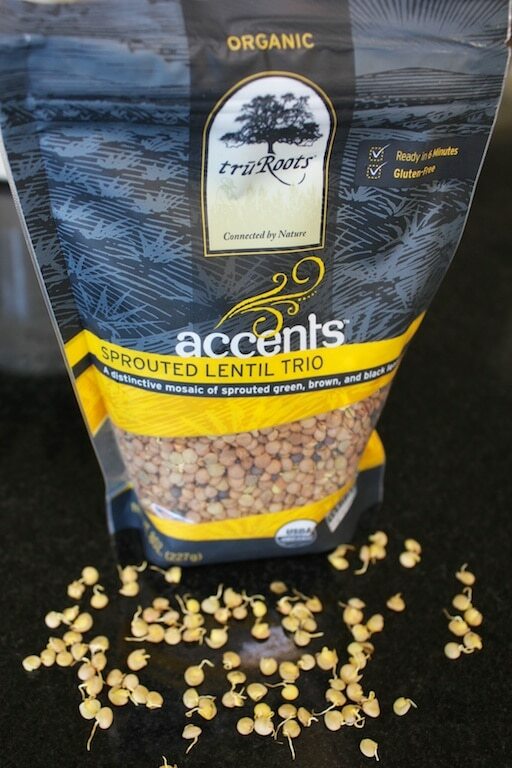 Is sprouted healthier than ‘regular’ lentils? Besides in a salad, I love leafy greens in a smoothie! Same as most, I love leafy greens in my salads. 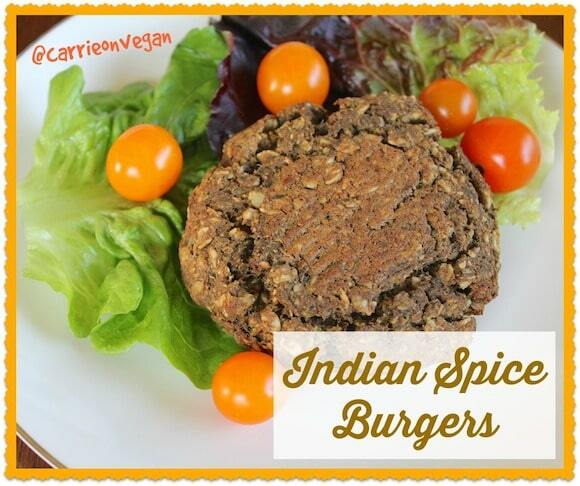 They’re also delicious in wraps, on burgers, and basically in anything I can fit them into! I tried to enter the giveaway but inadvertently clicked on the question as done before i had answered it! I tried to redo it but it would not let me…any ideas? I love raw leafy greens in salads with fresh fruit and raw nuts! It’s so fresh and delicious! I have come to love my daily giant salad…something I couldn’t imagine myself saying a few years ago. Many times my leafy greens are accompanied with avocado, pistachios and chickpeas…along with other various veggies. I’m also loving experimenting with homemade dressings to top off those delicious greens. I eat my greens in soups, salads, sandwiches, wraps… but my favorite way to eat greens is in smoothies! I like to put baby spinach in my smoothies. My favorite way to eat leafy greens is stir-fried with lots of garlic! I like leafy greens sauteed and mixed into a pasta dish with garlic. I like leafy greens best in salad – not a creative response but true. 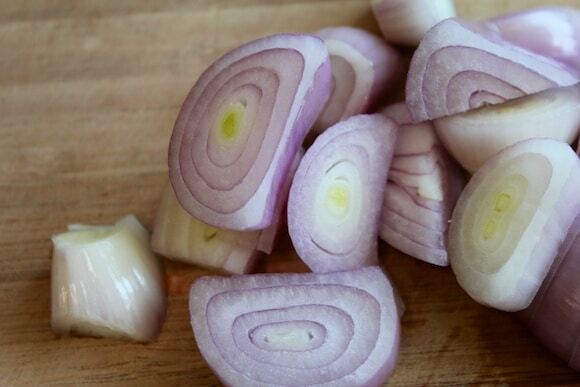 My favorite way to eat leafy greens is raw, in a salad. I love eating leafy greens in a salad. I like leafy greens in salad. 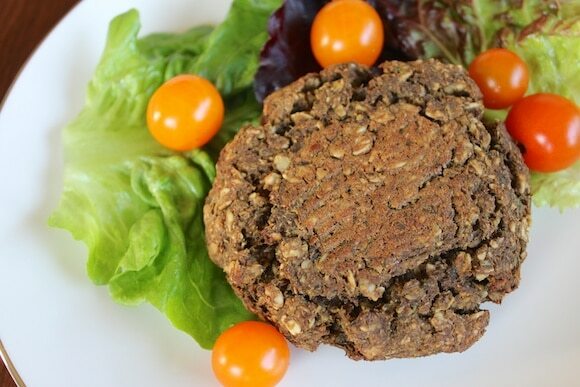 I never realized burgers can be turned into healthy ones until I found your recipe.